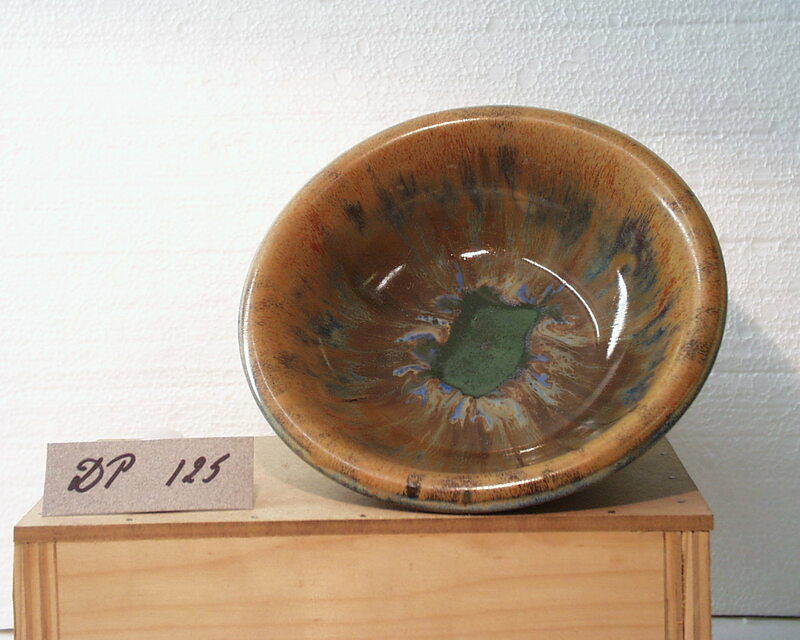 Decorative effect obtained by the mixture of coloured glazes. Slip-cast form. 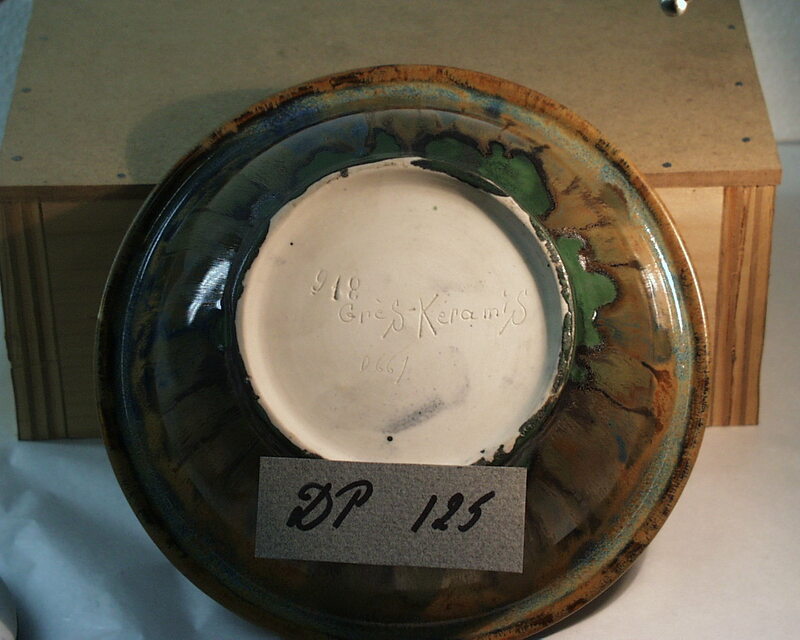 Entire surface covered in matt glazes, covered in turn in poured glossy glazes. Shades: ochre, blue, red, grey, beige, bottle-green, a little white. Iridescent sheen.